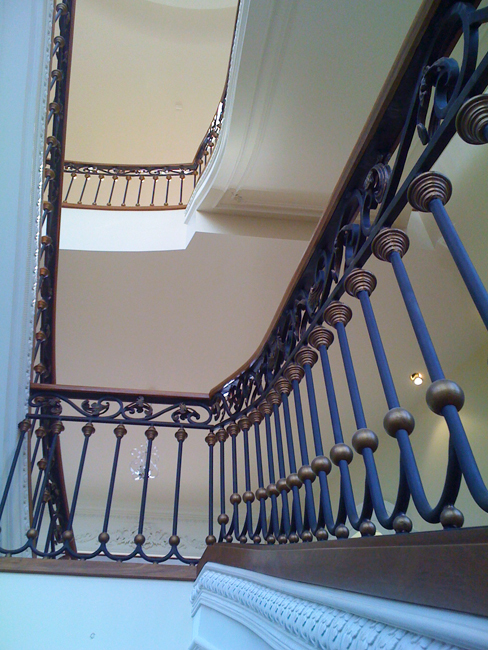 This grand estate home was probably my most challenging project to date: A total of 250 lineal feet of railing. 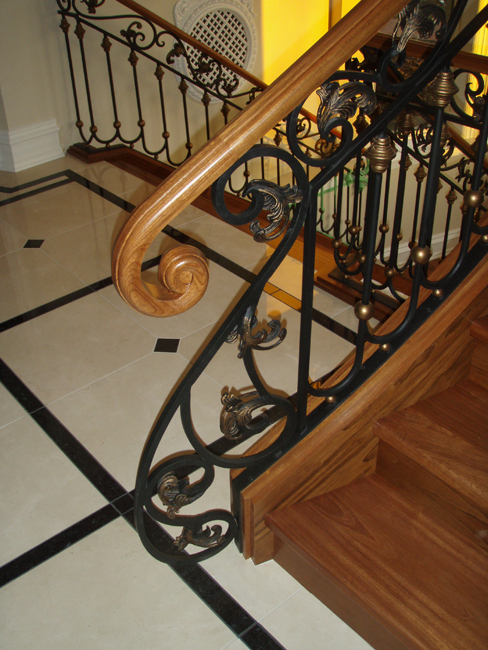 It started with the initial consultation with the clients and the interior designer. 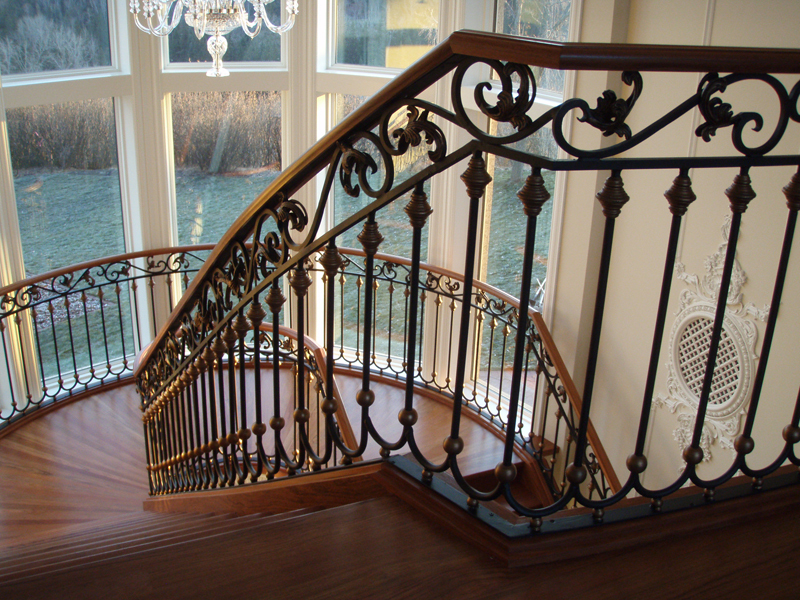 I asked the clients to look at historical railing designs. 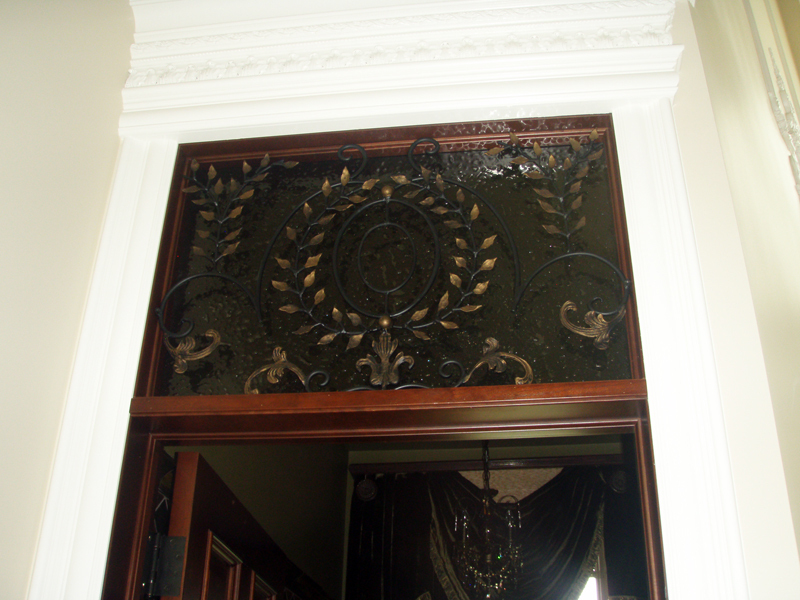 The challenging part was that the husband was on one end of the design spectrum (high ornamentation); his wife was on the other (simple and refined). 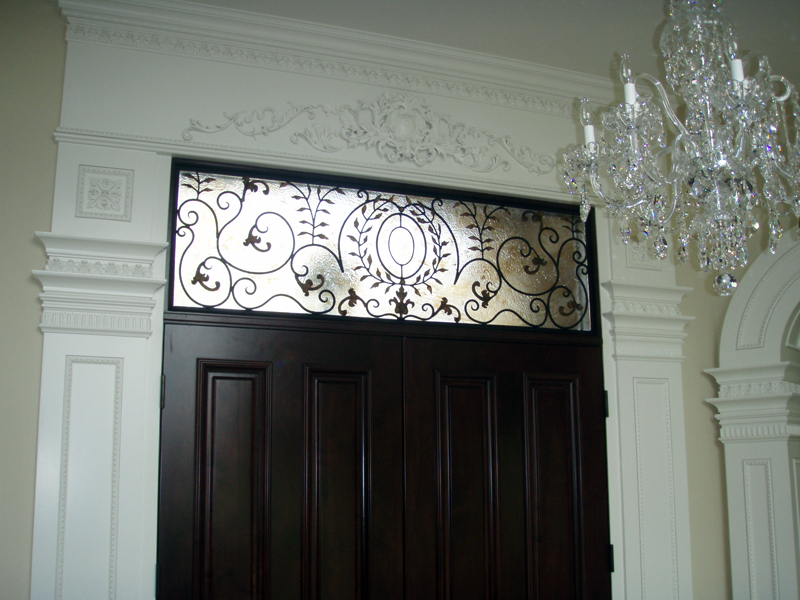 I created this design keeping the ornamentation in a six inch frieze at the top portion of the railing and the elegant repeating pattern for the remainder. 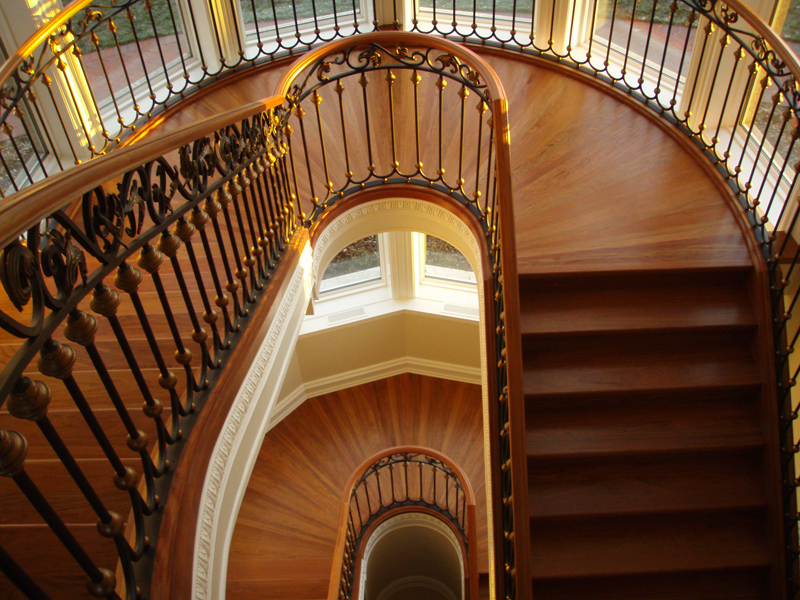 The clients also stressed that they did not want any newel posts. 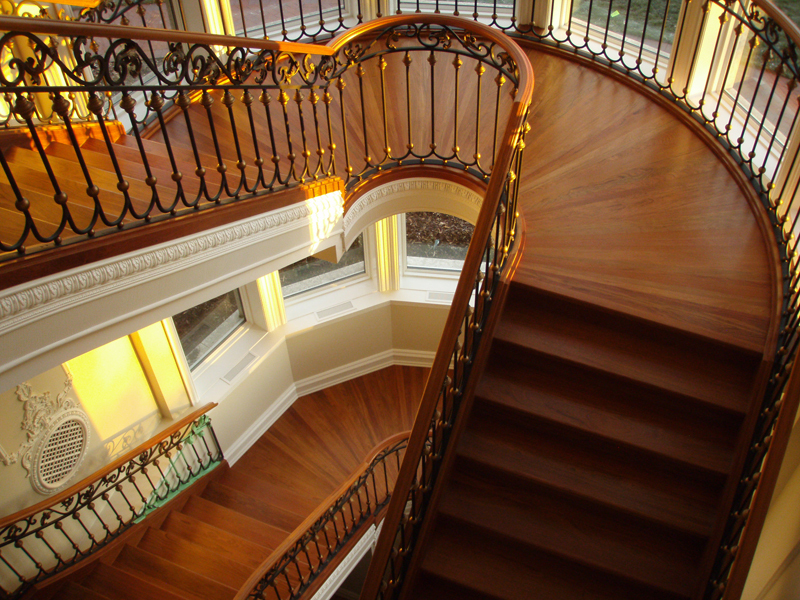 They wanted the design to flow at the transition between stair and landings. 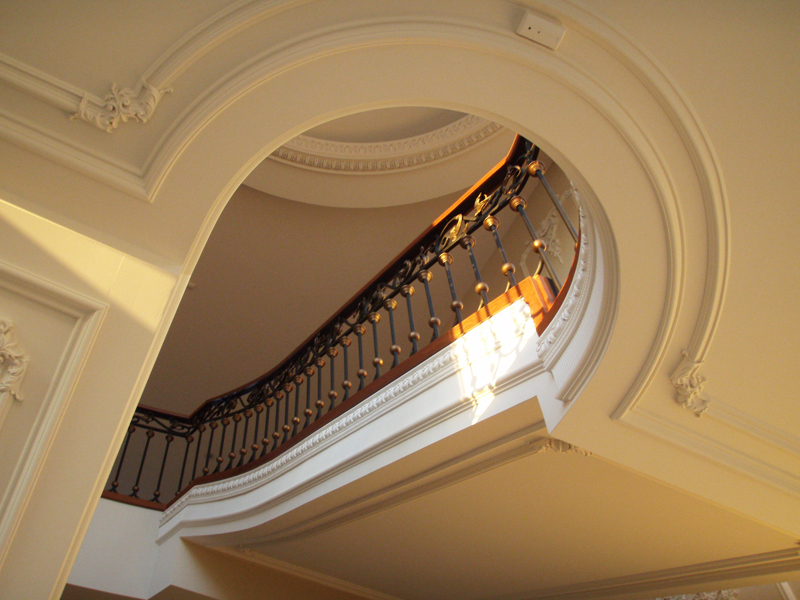 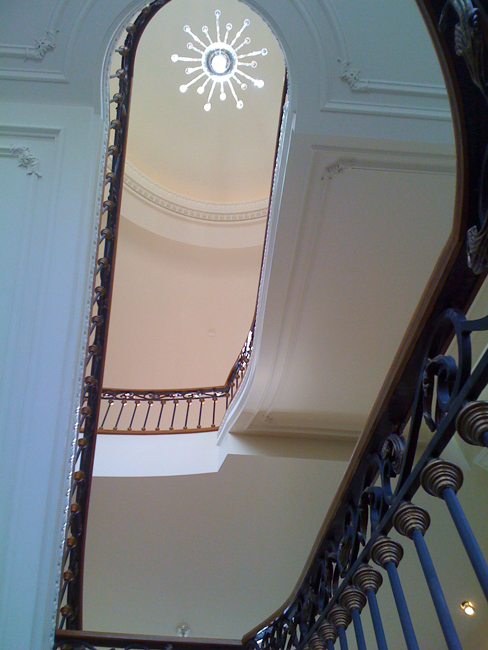 The railings flare at the ends highlighting the ornate finishing scroll work.